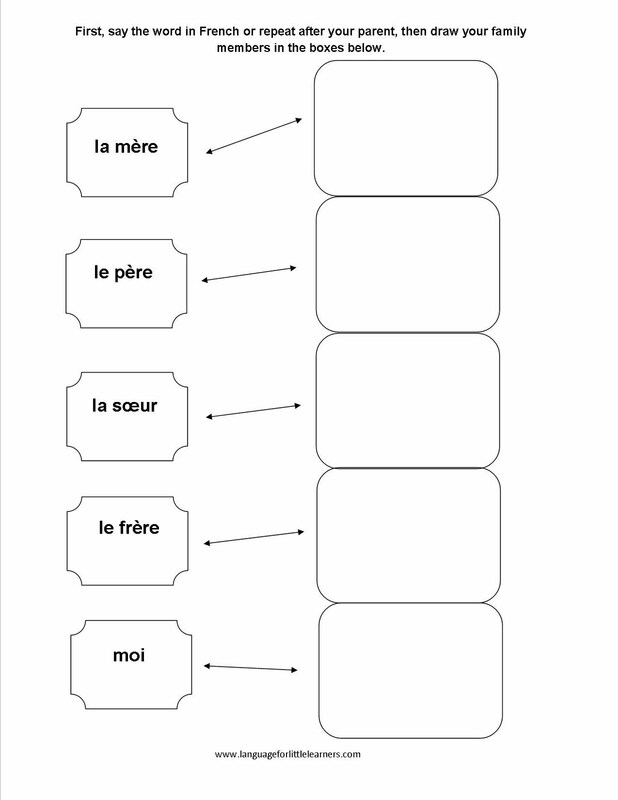 Here’s a worksheet to help practice family member vocabulary in French. If your child can read, they can read the words themselves and then draw a picture of their family member. If they can’t read, you can read it to them and they can repeat you. Then, they can draw the picture. 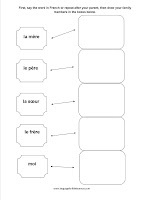 Try to have them repeat the family member word as they are drawing.